The accessible campsite is a dedicated campsite for Deaf and disabled customers. Anyone wanting to stay in this field must pre-register with the Access Team. Along with yourself and PA/ carer you can have an additional two other people camp with you in this field. 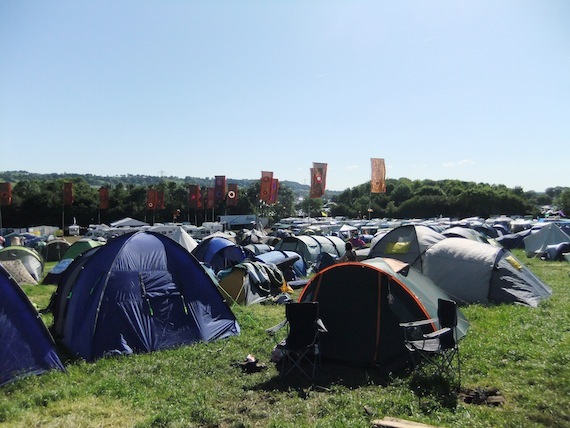 If you want to camp in a bigger group in one of the surrounding fields then you can still register for an access pass which will allow you entry to the campsite to use the facilities only. – A High Dependency Unit containing an electric raised bed with a hoist above, it also has a sink and toilet. Please note that hoist slings will not be available. If you wish to use this unit please bring your own slings. – Accessible sink and fresh water point. – Charging facilities for wheelchairs and medical equipment. – Fridge for the storage of medication. – Stewards on hand 24/7 offering assistance where necessary.